Our canvas prints can also be custom-made to suit your own size, photos or pictures. Welcome to contact us via mail or by "Sold by Natuki" then "Ask a question"! Your paintings will be carefully packaged in cardboard to ensure they reach you in perfect condition. 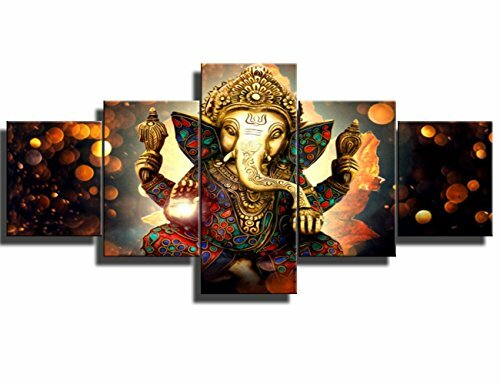 Stretched and framed canvas paintings wall art ready to hang for home decorations wall decor. Each panel has a black hook already mounted on the wooden bar for easy hanging. High Definition modern canvas printing artwork, picture photo printed on high quality canvas. A perfect Christmas and New Year gifts for your relatives and friends.